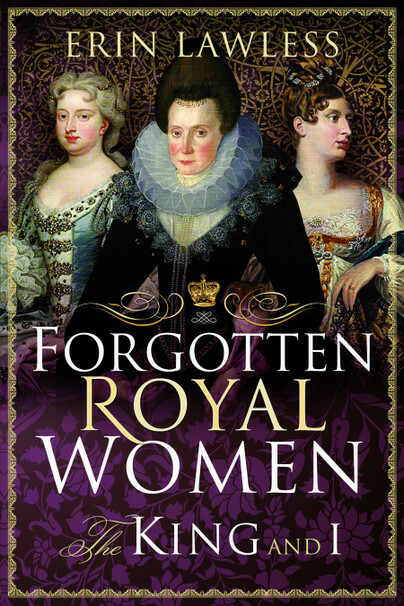 You'll be £12.99 closer to your next £10.00 credit when you purchase Forgotten Royal Women. What's this? Great women are hidden behind great men, or so they say, and no man is greater than the king. For centuries, royal aunts, cousins, sisters and mothers have watched history unfold from the shadows, their battlefields the bedchamber or the birthing room, their often short lives remembered only through the lens of others. But for those who want to hear them, great stories are still there to be told: the medieval princess who was kidnapped by pirates; the duchess found guilty of procuring love potions; the queen who was imprisoned in a castle for decades. Bringing thirty of these royal women out of the shadows, along with the footnotes of their families, this collection of bite-sized biographies will tell forgotten tales and shine much needed light into the darkened corners of women's history. This is a really great introduction to some lovely historical figures that, as the title suggests, tend to be forgotten about. I highly recommend this read, especially during Women’s History Month! You feel yourself drawn into the lives of the fascinating women and living and laughing or fiercely seething beside them... a book to read for the heck of it, for fun, it’s a fascinating little book and I did enjoy it very much. Erin Lawless is the bestselling author of several works of contemporary fiction with HarperCollins. A Classicist by training, graduating from the University of London, Erin decided to combine her love of a good narrative with her love of history, blogging regularly about any fascinating historical titbit, anecdote or personage that appealed. With her trade mark humour and just a smidge of irreverence, Erin gives the bite-size biography a modern and accessible flavour. Find out more at www.erinlawless.co.uk.